Phuket! With its beautiful weather, delicious food, gorgeous beaches and breezy, serene atmosphere, it’s an easy choice to make. 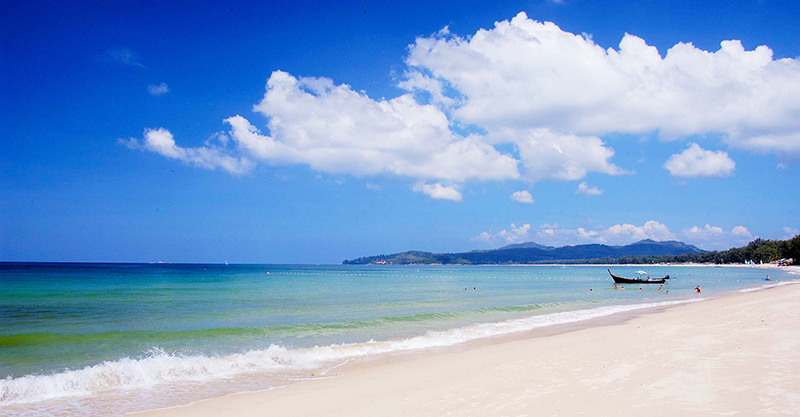 Thailand’s beaches are world famous for their beauty and Phuket boasts some of the best. Golden sand, azure water and jungle backdrops mean you’ll hit the relax button in no time. Throw in a freshly picked coconut refreshment and you’ll never want to go home. Thailand really knows how to resort in impeccable, family-friendly style. 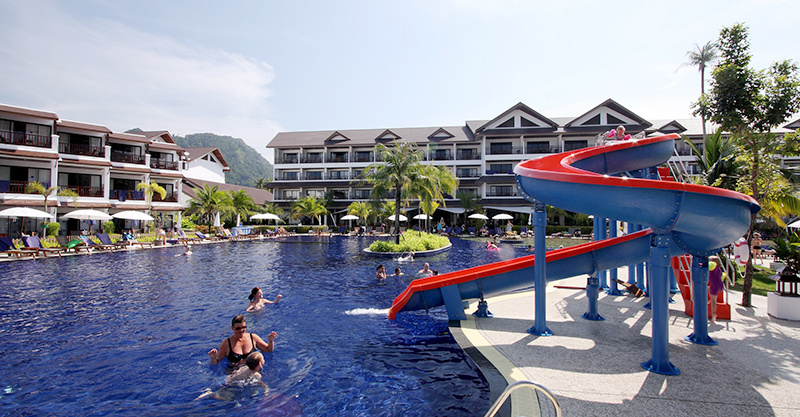 Sunwing Resorts at Kamala Beach and Bangtao Beach are some of our favourites. 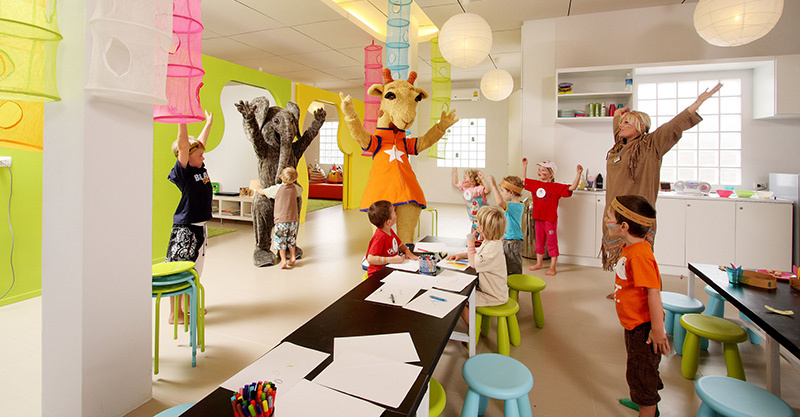 They offer beautiful rooms, epic swimming pools (with waterslides), plenty of fun kids’ activities and special ‘Baby Studio’ rooms to play in. Plus kids 11 and under eat free in the restaurant with a paying adult. Phuket has a fantastic array of fun parks and entertainment, guaranteed to make your holiday a memorable one. If you’re thinking waterparks, dinosaurs (!) AND amazing, super-entertaining character-filled theatre shows, you’re totally on the right track! One of the joys of travel is sampling yummy new snacks, and what better place than delicious Thailand?! Fried rice, Pad Thai, chicken satay, banana pancakes, sticky rice, fresh mangoes, yummy coconuts … the list goes on! Your kids are going to love it and you will too. #Yum! Busy bees will be right at home on this idyllic island paradise. There’s wake boarding, snorkelling, mountain bike riding, paddle boats, canoes, mini golf and so much more. The hardest part is deciding what to do next! There’s so many swimming pools to choose from, and waterslides too! Introduce the kids to some new friends – furry, fishy or otherwise! Spend the day at Phuket Aquarium or visit Phuket Zoo or experience gorgeous, colourful bird life up close! Phuket is a shopper’s paradise and the local Indy Market is popular with mums, dads and kids alike. Grab something to remember your trip … or just something to eat! The locals are always welcoming and friendly, especially with little ones.